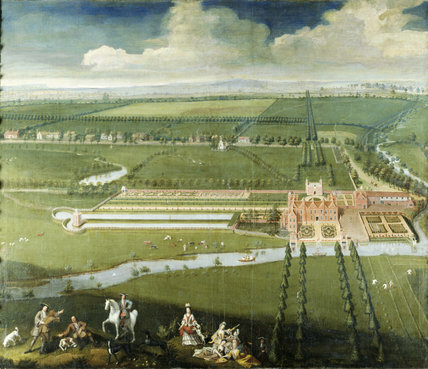 VIEW OF CHARLECOTE PARK c.1696, English 17th-century. The figures in the foreground are Colonel George Lucy his wife and family. Credit Line : Charlecote Park, The Fairfax-Lucy Collection ( The National Trust),©NTPL/Derrick E Witty.